A blend of Americana/singer-songwriter. Acoustic driven and heartfelt. Emma Guzman is a singer-songwriter from Mount Clemens. She has played all over the state of Michigan, including the Traverse City Film Festival, Arts Beats and Eats, and Winter Blast. Emma is currently getting set to record her third album at Third Coast Records in Grand Haven. 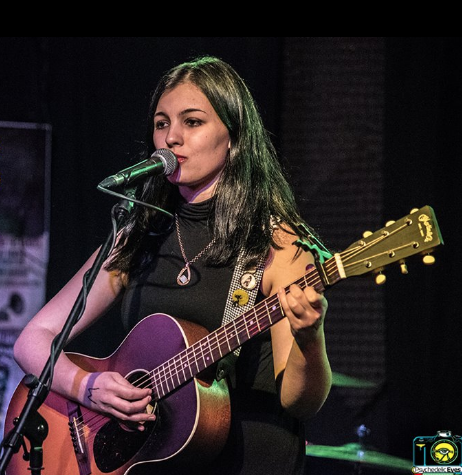 Singer-songwriter Emma Guzman, known cat enthusiast, rumored star child and compelled by unknown forces, has always felt the need to express herself through music. Choosing to spend her time humming melodies and frantically scribbling lyrics in various notebooks and on random scraps of paper, she has quietly amassed a substantial collection of songs. Described by the Detroit Metro Times as a "song writing prodigy" and one of their top 15 artists to watch in 2016.